TULALIP, Wash. -- Two Snohomish County teenagers are being hailed as heroes for saving the life of a stranger. Hailey Enick and Jasmine Daniels, both freshmen at Everett High School, were in Tulalip Saturday night when they pulled in to a McDonald's, they said. Enick's mother wanted to take a photo of the lunar eclipse while the group was on their way home from picking up Hailey's birthday cake. It turns out that side trip would become a life-saving rescue mission. "(The man) wasn't moving at all. His friend was slapping him and putting water on him," said Daniels, who is 15 years old. "Everyone was yelling, 'call 911!' His eyes were, like, in the back of his head and he wasn't breathing." She had learned CPR in a high school health class in the Fall. Enick had taken the same two-day training course just last month. The best friends decided to try it on the man, who appeared to be overdosing. "I was nervous. 'Is it going to work? Is it not going to work?'" Enick said. "I never thought I'd actually have to use (what we learned)." 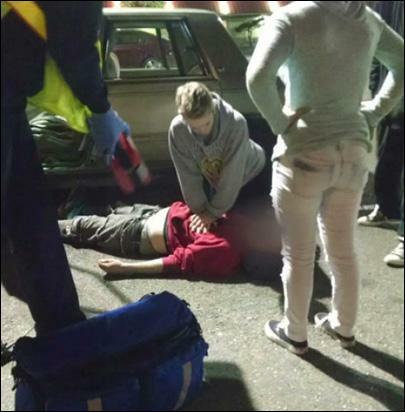 The two worked to pull the man out of the car and lay him flat on the ground, something they'd learned in the class, which is taught by paramedics and other volunteers through the Everett Medic One Foundation. "Turns out we had just done Everett High School three weeks ago," said Tim Key, chief of EMS for Everett Fire Department. "They had gotten the training then, so it was very fortuitous timing." The girls took turns doing compressions on the stranger for about five minutes until help arrived. "After, like, five minutes he started gasping for air," Daniels said. "He didn't completely come into consciousness until he got what I think was insulin from the medics." "The one police officer said if it wasn't for us then (the man) wouldn't be alive right now," Enick added. Some of the first responders plan to honor the teens at some point in the future, Enick's mother said. "I was nervous. I was scared," said Nicole Enick, Hailey's mom. "We didn't know if he was going to be okay." "It's something we'll always remember but it's not something we'll always talk about all the time," added Daniels, who said she's considered becoming a doctor when she gets older. "It's just nice to know we did that and did it together. I wouldn't have been able to do it if (Hailey) wasn't there." 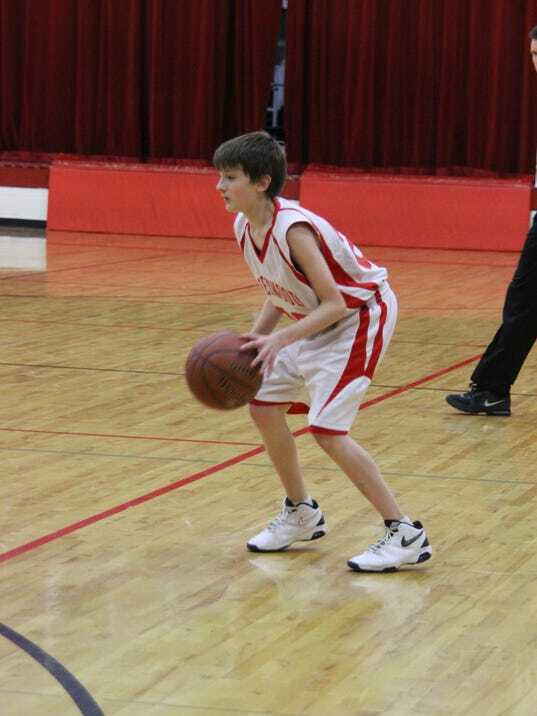 LOYAL — A 13-year-old Greenwood boy, Bailey Venet, is alive thanks to the help of good Samaritans from Granton, Greenwood and Loyal who rushed to resuscitate him after he collapsed on the Loyal High School basketball court Dec. 6. "It was the fourth quarter of the tournament game, and there was a stop in play, ... I think there was a foul or something, and the refs blew the whistle and stopped the play, ... and he collapsed," said Andy Dean of Granton, who was coaching the opposing team of Granton middle school boys. Andy Dean, a former emergency medical technician, and his wife, Sara, a nurse at Ministry Saint Joseph's Hospital in Marshfield, were the first people at Bailey's side. They immediately started performing CPR. "I could tell it wasn't a trip, because he didn't put his hands down to catch himself," Sara Dean said. "I knew I had to get down there and help that little guy." While the Deans were performing CPR, others cleared the athletes from the gym, and someone ran for the automated external defibrillator, or AED. Troy Thomas and Dean Bogdonovich of Greenwood and Bob Wilke of Loyal also assisted in resuscitating the boy. One shock from the device restarted Bailey's heart, and he was alert by the time an ambulance arrived on the scene. "It was a very good feeling to see him start blinking his eyes," Andy Dean said. Bailey's father, Eric Venet, said he doesn't remember much about the 11 minutes between the time his son collapsed and an ambulance arrived on the scene, but it felt like an eternity. "I had tunnel vision," he said. "I don't really remember anything, but time seemed to slow down." For the Deans, those 11 minutes felt like a few seconds. "I could hear all the commotion going on around, but it was like I was focused in on (Sara's) voice and she was focused in on mine, and we just did CPR," Andy Dean said. Eric Venet said his son later told him his vision got blurry and he developed a headache just before he collapsed, and the next thing he remembered was seeing the EMTs who transported him to Saint Joseph's Hospital. An echocardiogram revealed Bailey has a condition called restrictive cardiomyopathy, which caused his heart to stop during the game. "This is the first time it's ever been present, and he's been playing ball since fifth grade," Eric Venet said. "On physicals and stuff, you can't detect it. Listening to his heart, it sounded fine." Although he was up and walking around at Saint Joseph's Hospital a few days after he collapsed, Bailey underwent further treatment at Children's Hospital of Wisconsin in Milwaukee, where he had an internal defibrillator placed in his chest. Bailey is recovering at home and hopes to play basketball again in the future. Eric Venet said the device will restart Bailey's heart if the condition causes him to collapse again and no one is around, but he believes God put the right people in the right place on Dec. 6. "If it wasn't for those people, Bailey wouldn't be here right now," he said. A ceremony honoring those who took action to help Bailey will take place Dec. 23 at Loyal High School during halftime of the varsity boys basketball game against Greenwood. WALNUT CREEK (KTVU) - A 14 year old basketball player is recovering from an apparent heart attack, thanks to a lifesaving piece of technology that was courtside. The teen was playing in a Catholic Youth Organization league at the Contra Costa County Jewish Community Center when he collapsed after half-time. Coach John Wackowski said the game came to a halt, and parents and officials rushed to the teen's side when he went down. "Then his eyes started to roll back a little bit, then he started having a hard time breathing," said Wackowski. A retired firefighter and an off duty nurse were among the spectators in attendance. The nurse quickly determined the teen had stopped breathing and his heart had stopped beating, Wackowski says that's when they called for a lifeline, an automated external defibrillator. "Then I ran out here, and she said, do we have an AED?" said Wackowski. "Then I ran out here, with Pat Clarkson, he said here it is, threw it over to me, I ran it back in there we opened it up, put the AED on and that was a lifesaver." The device jolted the teen's heart back to a normal rhythm, paramedics were on scene within minutes and transported him to John Muir Medical Center, where he was under observation as of Saturday night. "You just see this bright kid with his whole future ahead of him, and luckily, again that AED was here to help save his life," said Wackowski. Wes Allnutt is a program coordinator for the City of Walnut Creek he has worked for years to get AEDs into as many city facilities as possible, saying they save lives. This particular unit, which saved the life of the 14 year old boy, was also responsible for restarting the heart of a 55 year old man two years ago at the same facility. "I think you'd be hard pressed to find facilities that don't them now," said Allnutt. "But if you don't have them now by all means make sure you get one." 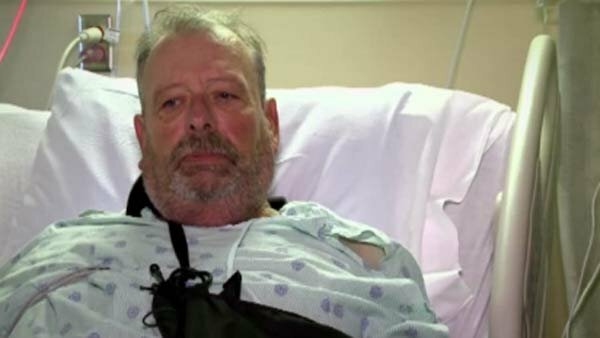 SACRAMENTO, CA (KOVR/CNN) - A Sacramento man had a heart attack while serving jury duty. Darryl Hurt's life was saved last week by a bailiff who was trained in CPR. Hurt says that he's lucky to be alive and he can't wait to meet the deputy who saved his life. More than a week ago his heart stopping beating and he collapsed in the hallway of the Sacramento County courthouse. "He was still conscious, but fading pretty fast," said Deputy John Gonzales with the Sacramento County Sheriff's Dept. Gonzales says he performed CPR up until paramedics arrived. Hurt's heart stopped beating twice on Gonzales' watch. "He was in really bad shape. I know he was in a lot of pain," Gonzalez said. But Gonzales refused to give up. Hurt's arm is now in sling from where Gonzales broke his ribs performing CPR. "He did a heck of a job for me and he didn't give up," Hurt said. Hurt is doing much better now. When he's released from the hospital he wants to do a little fishing. But first he wants to stop by the Sacramento County courthouse and shake the hand of the man who saved his life. "I just want to thank him but I just haven't had a chance yet," Hurt said. Hurt hopes to be released from the hospital in the next few days. GETZVILLE, N.Y. (WIVB) – Excellent training and a clever device were behind the life saving actions of a middle school coach and a math teacher. “I saw the ref laying down, the coach was assessing him, and he told me he didn’t feel a pulse,” Chuck Swierski, a Williamsville North math teacher, said. That’s when a crowd of concerned parents formed around the referee. They started performing CPR, but he didn’t even have a pulse. Coach Rick Bubar and Swierski went searching for an automated external defibrillator (AED), the device which they were trained to use in that exact situation. “I found the AED, yelled to the coach that I had it, and we went back into the room,” Swierski said. From the moment they opened the device, it guided them in what to do. The machine assessed the referee’s condition and when they were directed to give the referee a shock, they followed its directions. After two more rounds of CPR, they saw progress. “When we started the second set, I saw him move and someone else said I felt him squeeze my hand,” Swierski said. When the referee started gaining consciousness, Getzville’s Volunteer Fire company arrived and Assistant Fire Chief, Greg Burrow, took over. NAPLES - In an instant, just yards from the finish line of the Naples Half Marathon, a 60-year-old Naples man collapsed. It wasn’t exhaustion or a bum knee or dehydration, he’d had a cardiac event. It could have killed him; actually, it did kill him, temporarily, Naples Fire Chief Steve McInerny said, before his firefighter/ paramedic and firefighter/ EMTs stepped in. The patient’s name has not been released by hospital officials. He is in recovery and will have serious facial injuries from collapsing onto the pavement after his heart stopped working. “But he is alive,” McInerny said. There were two teams of two firefighter/ paramedic and EMTs patrolling the annual Naples Half Marathon. Then a call came out that a man had collapsed near the 8th Avenue finish line, possibly in cardiac arrest. Bystanders, including city staff member Bradie Allen, started CPR, McInerny said. Then his crew took over and created an airway while a fire crew stationed at nearby City Hall came over with one of the city’s four ALS defibrillators. This is not the portable kind you may have at your office or your gym, McInerny said. He said 62 percent of the calls the fire department get are medical, and that’s why it’s imperative they have the best trained paramedics and EMTs. Returning to the Bay Area from a health-care conference on the East Coast, Stanford Hospital nurses Sophia Loo and Angela Bingham performed CPR on a passenger who appeared to be having a heart attack. Sophia Loo and Angela Bingham, cardiac nurses at Stanford Hospital, performed CPR on an airline passenger who appeared to be having a heart attack. Sophia Loo and Angela Bingham barely made their connecting flight to San Jose. The cardiac care nurses at Stanford Hospital were on their way back from a December health-care conference in Orlando, Fla.
Loo saw a male passenger who appeared to be in real trouble. He was pale, unresponsive, sweating and breathing in a way that Loo recognized immediately. Called agonal respiration, it is accompanied by a snoring sound and comes in gasps. Loo knew the breathing pattern because it’s often a sign of imminent cardiac arrest. Bingham, seated a few rows back from Loo, had noticed the commotion and was on her way to help, too, when she heard Loo call out, “Angela, get up here!” Other passengers had left their seats, blocking the aisle and forcing Bingham to crawl over empty seats to get to the passenger. Both nurses knew that they had to start CPR immediately. “But we couldn’t do CPR while he was in the seat,” Loo said, so she recruited three passengers to maneuver the man into the aisle. He was in his late 60s, Loo estimated, and weighed about 180 pounds. In the narrow aisle, there wasn’t much room. “It was surreal,” Bingham said. “We just went into nursing mode,” Loo said, “but the stress was beyond anything I’ve ever known as a nurse. We were so focused on what we were doing; we knew the gravity of his condition. Lacking a ventilating device to help deliver air through the passenger’s nose and mouth — and because he occasionally gasped and opened his eyes, which would have interfered with rescue breaths — the nurses focused on chest compressions, conducted at a rate of 100 times per minute. We just went into nursing mode, but the stress was beyond anything I’ve ever known as a nurse. Flight attendants brought them an automated external defibrillator, which the Federal Aviation Administration requires all commercial aircraft to carry, giving Loo and Bingham their first chance for an objective reading of the passenger’s heart activity. This type of defibrillator uses two adhesive-backed leads, which are placed on the skin of the chest, to evaluate heart rhythm and deliver an appropriate shock. The device showed that the man’s heart was in a life-threatening rhythm and advised a shock. “I told the flight attendant to press the button to deliver the shock. We called out ‘Everybody clear!’ and the shock did deliver,” Bingham said. Except for the sound of Loo and Bingham’s CPR count, the other passengers on the plane were silent. “People were in shock, I think,” Loo said. “We lost track of time,” she said, “but it was at least 15 minutes until a security person came to help us with CPR.” Paramedics finally arrived to help, too. By the time the passenger was carried out of the plane — the aisle was too narrow for a gurney — he was conscious again, Loo said. This reinforced why I went into nursing. It was another 45 minutes before the plane finally left the airport. During the wait, Bingham said, “People were asking me about what we had done, about the CPR technique we’d used — and the captain came to thank us.” The flight attendants came to ask for the nurses’ advice on what the crew could have done differently. Since then, Loo and Bingham haven’t heard any news about the passenger. “We would like to know how he is now. We hope he’s doing OK,” Loo said. “This reinforced why I went into nursing. I was so humbled and grateful that I could do something, that Angela and I knew what to do,” Loo said.